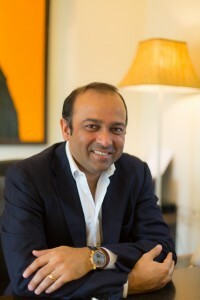 Last week I got a chance to speak with Nikhil Nath, Founder and CEO of Knowcross that provides technology solutions to leading hotels of the world in over 30 countries. Started in 2002, Knowcross has built a range of smart and intelligent products that address specific problems of running Hotel operations. From systems that allow Hotel staff to quickly respond to complaints raised by guests through careful assignment and tracking to systems that turn the manual Housekeeping nightmare into a smooth process by mathematically calculating which room needs to be cleaned when based on real time data such as check-out time, expected check-in time, room moves etc. This product called Know Housekeeping was listed as one of the top seven mobility products in India after an exhaustive assessment by Frost & Sullivan. They also have a product that allows staff to make-up for services failures and missing guest expectations by alerting them in real time and giving them a chance to make a goodwill gesture and increase loyalty. Each of the products Knowcross offers seems to be extremely well thought out and is solving real problems hotels face in their day to day operations. No wonder they boast of customers such as Kempinski, Hyatt, Oberoi, IHG, Hilton, Sofitel, Taj, Swissôtel, Shangri-La, Radisson, Rosewood, Dusit Thani, to name a few of their chain customers, and marquee independents like the Ritz Paris, Le Bristol Paris, and The Halkin London. After the hour long interview, I was left completely inspired listening to the journey of starting and growing Knowcross. Here is the compilation of the interview for you learn more about Nikhil’s journey of building Knowcross. At Knowcross, we offer a suite of products for the Hotel Industry. We started in 2002 with our first product, a rapid response system to resolve guest complaints in time, every time. This was our main product until 3 years ago. As we thought of expanding our offerings, we had two choices – either to grow horizontally by offering the same solution to other industries or to go vertical by providing more solutions to the Hotel industry. We decided to go vertical as we had developed a deep expertise and understanding of the Hotel Industry and it made more sense to leverage that learning. We looked for other problem areas in the Hotel industry and came up with three other products – that are now known as Know Housekeeping, Know Glitch, and Know Mobile. These products eliminate much of the manual communication and chaos that currently exists in hotel operations and have a direct impact on staff productivity and guest satisfaction. Take us through your journey of starting Knowcross. We started by accident. In my early teens I was an avid self-taught programmer – and honed by skills on Sinclair Spectrums, Commodores, and BBC Micros computers. However, I left this passion to pursue a more traditional Economics-MBA-Banking-Consulting career path…until life came full circle! In 2002, a friend and I were doodling around and we put some developers together to work on different software projects. Because of the dotcom bust the market soon dried up. One of the projects we worked on was for a hotel. That experience got us interested in the space and we ended up developing a product. We created a few prototypes, went out to the market and got some positive early reactions. That gave us the encouragement we needed to continue in the space. In hindsight, I think we selectively saw the data we wanted to support our belief and desire to continue developing the product! With a team of four, we built a product and started approaching potential customers. We implemented the product for a Radisson, an Intercontinental and Oberoi’s new property in Udaipur, Udaivilas. Those first few installs were crucial. We learnt a lot from those experiences and almost rebuilt the product from scratch. From this point onwards it was a hotel by hotel pitching and negotiating game. Once we signed up 15 customers, we stopped bleeding month on month. Soon we hired someone from the Hospitality industry to bring in the knowledge and knowhow. We stretched our boundaries and pitched to international hotels as well. We won a customer in Dubai. The deal was $40K, equivalent of 4 Indian customers. That experience made us realize that the market outside India is much more interesting. We got to pitch to the Hyatt top brass in Chicago and signed up Grand Hyatt in Mumbai as the test property. We continued to make a lot of mistakes and learned from the experiences. The worst time was between 2008 and 2010. By 2008, we had built quite a bit of momentum and the financial market collapse hurt us terribly because a lot of upcoming hotels lost their funding and stopped mid-way through construction. With all the developers we had hired, our burn rate was very high and we didn’t have anyone to sell our products to. In 2009-2010 we were almost about to go belly up. But I didn’t want to give up. I got the team size down and had to let go of many talented people. From there on we restarted the journey slowly and steadily and were able to recover from the near death experience. I am happy to say that over the last three years, we have seen very good success and have been growing at about 75% year on year. You have been mostly bootstrapping your venture except for the small angel round. Tell us more about your experience managing the venture without much external financing. Though Knowcross has been mostly a bootstrapped venture, we did raise a small angel round of $500K in early 2006 from “Band of Angels” (now called Indian Angel Network) and a few other individual investors. We did think of raising a VC round in 2007 but eventually didn’t go ahead. As a result, we have grown the company through internal accruals. In our most strained period, 2008 to 2010, one thing that became our lifeline was a credit line we managed to negotiate from an Indian public sector bank. This was against our receivables and gave us the cash flow to manage the business… Raising money from Angels and VCs is the not the only way..if you talk to bankers, they often come up with many ways of borrowing money…ultimately, equity is always more expensive than debt and an entrepreneur shouldn’t forget this. Having said that, both bootstrapping and raising external capital have their own sets of pros and cons. With a bootstrapped company, I am the majority shareholder and have a much tighter control over the company. The growth is organic and takes time but in the process we have built a strong foundation. We won’t get knocked out that easily even if finances dry up. On the other side, having money in the bank allows one to think long term and build a business without cash flow concerns. For e.g, in our case, the angel investment allowed us to hire the right people even if we had to pay more. Underfunded companies can’t hire the right people. Having capital also provides some mental stability. There was a time when our revenues were way below our expenses and I had exhausted all my life savings. I was not taking any salary and was using just the minimal amount of money to sustain myself. This kind of situation is a real blow to one’s motivation. One needs to decide for themselves what the right way to manage finances is. We were not in highly scalable dotcom type of business and just wanted to build a profitable company. We could bootstrap our way up. But this might not work for every type of business. We started with four people initially. The biggest motivation for people to join us has been the kind of work we are doing. The time when we started, there were hardly any product companies in India. Still the product industry is small but 10 years ago it was miniscule. The people who joined us were specifically looking for such opportunities and that aligned our needs. Two of the key people who joined us in our early days are still working with us. One is an IIT graduate and other from Hyatt, Mumbai. We did have to shell out a lot in compensation to hire these talented individuals but that was money well spent. They are still part of our key team. I must say that hiring was much easier 10 years ago. The market was smaller and quality of talent was better. We got more value for the money paid. Now hiring is much more difficult. There is a lot of competition especially from VC backed start-ups that have driven salaries up – in some cases, to levels that simply don’t make sense. At these levels, it is better for us to set up a development center in a first world country! Marketing is another area that requires a lot of investment. Tell us more about how you managed marketing. Historically, we didn’t spend much on marketing. In fact we didn’t even have a sales team until 3 years ago. Sales for us were a door to door exercise. We were quite limited in our resources. So we had to cut costs at every step. We would fly cheap and stay cheap. We would stay only for few days and setup a maximum number of meetings in those few days to get the most out of our visits. I remember the time when I travelled to London to pitch to some potential customers. I slept on a friend’s couch and would step out everyday like a travelling salesman. It was a slow, tiring and arduous journey. But the hard work did pay off. We built the customer base organically with the biggest growth seen in last three years. We spent many years building our financial strength and now we are investing heavily in building a sales organization and in marketing to support the salespeople. We set up our US presence about a year ago and now have three people based there. We are also about to open an office in London to cover Europe. Another advantage VCs bring in is the guidance on building the business, contacts, references etc. Your clients include some of the big names such as Kempinski, Hyatt, Oberoi, IHG, Hilton, Sofitel, Taj and many more. As a bootstrapped company, how did you build this clientele? Where did you get guidance on how to run the business? Almost everyone has some initial resources to work with. People do want to help others. If you look out for help and people know you are trying hard, they would come forward to help. In our case too, we got a few lucky breaks. Some of my good friends shared some references and made some connections. As we signed few initial customers and delivered good work, others came by. In hindsight, I would say that it is important to have mentors to guide a first time entrepreneur on things such as which clients to take, how to approach them, when to raise money etc. These decisions are often tricky and it helps if someone who has been there and done that can provide advice. Best would be to bring someone who has started a business before. Incentivize them with stock options. Irrespective of whether one has VCs or not, mentorship is required. Such mentorship can’t be provided by a board. One needs an individual like a friendly uncle. Chances of success would be much higher if quality mentoring is available to teams early on. Bootstrapping is certainly possible until and unless the business model requires exponential growth in a short span of time. If bootstrapping, one needs to prepare well and think through it. How much can you starve yourself? How long can you manage the business without revenue? How long will your savings last? You should draw your limits and know when to stop as there is an opportunity cost and the same money can be put to some other use. If you go on for many years without showing positive cash flow, then it is concerning as your business is not sustainable. Make a realistic assessment of your situation and add a buffer around it. Many people don’t think through all this and then hit a wall.